For children unable to breathe for themselves, The Kidz Korner provides a progressive state-of-the-art ventilator program. 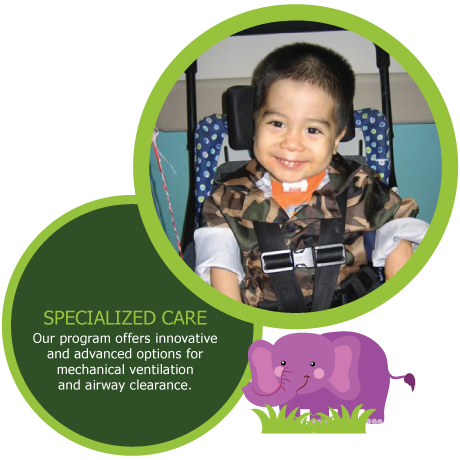 We specialize in invasive/non-invasive ventilation as well as weaning readiness testing and ventilator and/or trach weaning. Expert and continuous respiratory care is provided by our Pulmonary & Respiratory Therapy Team who have extensive pediatric training, experience and participate in ongoing education and competency testing.